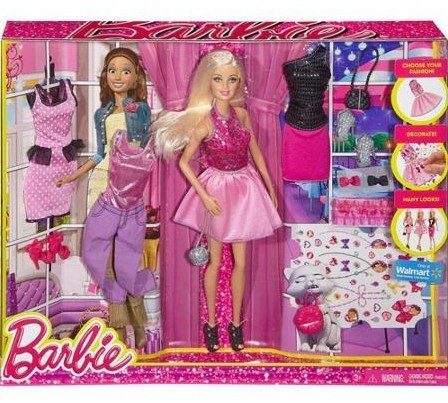 Barbie Fashion Activity Gift Set Only $13, Regularly $30! You are here: Home / Great Deals / Barbie Fashion Activity Gift Set Only $13, Regularly $30! Head to Walmart to snag this Barbie Fashion Activity Gift Set for Only $13, Regularly $30! Your little fashionista will love adding this Barbie Fashion Gift Set to her collection. Whether Barbie is dressing for day or night, she always does it with her signature style. Now, girls can jazz her up with their own personal spin.